How many countries can YOU visit? 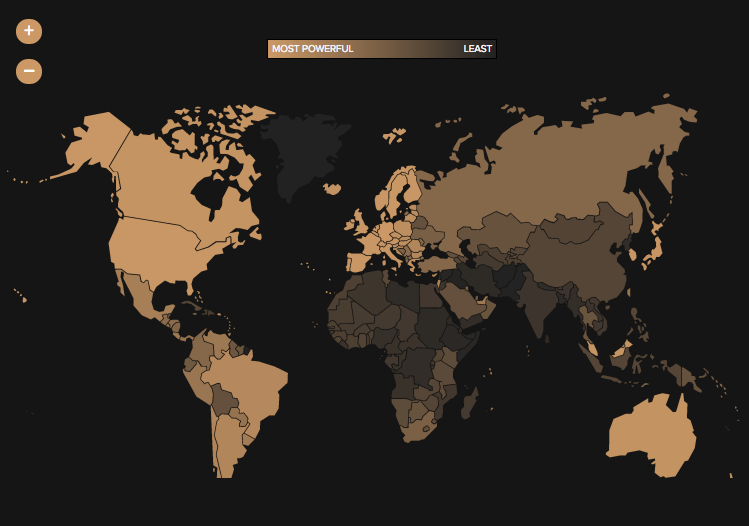 Not all passports are created equal, and this global ranking proves it in real time. According to the Passport Index, which is constantly updated based on changing country entry requirements, travelers with a German passport can currently visit the most countries (158) without applying for a visa. Travelers from Afghanistan, meanwhile, can visit just 23. The index ranks “passport power” by how many countries its holder can visit without a visa, creating a striking picture of how power is distributed worldwide. A country’s “passport power” depends largely on its reputation in the global sphere, as explained in the video above. Germany consistently ranks highly in part because of its efforts to support cooperation between other countries. And Sweden often has a top spot because of its neutral military stance. Here are the most powerful passports in the world, along with the number of countries their citizens can visit visa-free, according to Passport Index rankings at the time of publication. The United States’ rank may drop dramatically soon, if European Union lawmakers make good on their proposition to deny visa-free access to American visitors by this summer. It’s also worth noting that the cost of a passport varies dramatically, even among nations with good rankings. While a Swedish passport costs about $39 USD, a new U.S. passport is $135. Now is a prime time to get or renew your U.S. passport, as a surge in demand could make the process slower than usual through 2018.